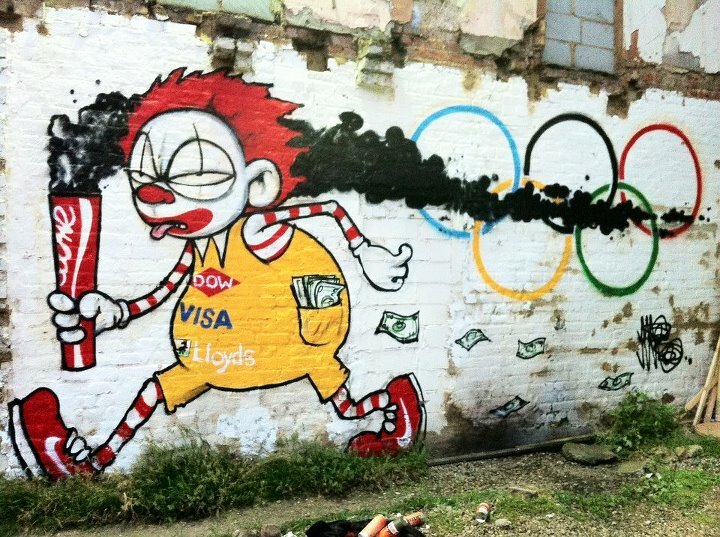 Just buy it – Enjoy the Olympics! The Olympics Games is the only modern days mayor sports events, that has a beautiful ideology. Make sports, not war. Unite the humanity etc. Like every other beauties that the human race has produced it to has been raped by commercialism, and today it’s all about consuming. It has become one of the greatest promoting platforms for the multinationals corps. So let us unite the humanity in consumption, enjoy the commercials and make shopping, not war.